In 2011, the UNHCR commemorates 60 years from the formal adoption of the 1951 Geneva Refugee Convention and marks 50 years since the adoption of the 1961 Convention on the Reduction of Statelessness. Its Representation in Croatia also marks 20 years of its work in the Republic of Croatia. The 1951 Convention emerged from the strong “never again” sentiment following the Second World War. It provided a clear legal framework for the protection of individuals fleeing persecution. The values enshrined in the Refugee Convention and in other international instruments are part of the identity of Europe and have been built into the structure of the European Union. Indeed, the EU itself was born of the desire to prevent the misery of war. Human rights and refugee protection are a part of its essence. The UN Convention Relating to the Status of Refugees was formally adopted on July 28, 1951 to resolve the refugee problem in Europe after World War II. 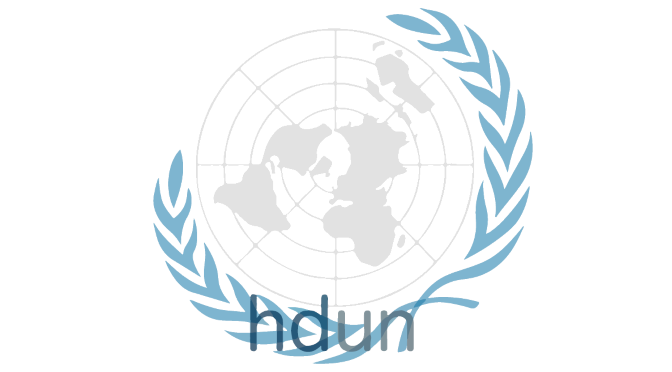 This global treaty provides a definition of who qualifies as a refugee – a person with a well-founded fear of being persecuted for reasons of race, religion, nationality, membership of a particular social group or political opinion – and spells out the rights and obligations between host countries and refugees. As the legal foundation on which UNHCR’s work is based, it has enabled the agency to help millions of uprooted people to restart their lives in the last 60 years. The UNHCR and other humanitarian agents today work to alleviate the suffering of more than 43 million displaced in the world. The 1951 Convention on the Reduction of Statelessness sets out rules for the conferral or non-withdrawal of nationality only where the person in question would be left stateless. In other words, the provisions of the 1961 Convention offer carefully detailed safeguards against statelessness that should be implemented through a State’s nationality law. Few days ago, the President of the Republic of Croatia has deposited the instrument for accession in New York adding the 1961 Convention to Croatia’s impressive portfolio of international legal instruments designed to help the protection of basic human rights. UNHCR assists the Croatian Government in harmonizing the asylum legislation with the Convention and EU acquis. While we consider the establishment of a permanent reception centre for asylum seekers in the country a necessity, we must recognise the country’s receptiveness to asylum seekers which comes as no surprise to us given Croatia’s proven record of solidarity for those in need. 20 years ago, the UNHCR was tasked to assist the Government of Croatia in protecting the people displaced by the emerging conflict in former Yugoslavia. During those dramatic years, UNHCR cooperated with the Croatian authorities in providing much needed humanitarian and protection assistance to almost one million people fleeing from war. In these 20 years, over 400 local staff worked for the agency and some of them are using that experience to help the displaced throughout the world today. Some of them have unfortunately perished while providing protection to those in need. UNHCR work in Croatia has, from the very beginning, been supported by the International Community, NGOs and organizations through generous donations and by supporting the process leading toward the successful closure of the displacement chapter in the region. Today, together with its sister offices in the region, UNHCR Croatia provides assistance to those still finding ways to end their plight and find a home and sustainability. We are now at a crossroads between achievements of the past and considering the new momentum Croatia’s upcoming EU accession has brought, to solve remaining issues. UNHCR in Croatia cooperates with authorities and nongovernmental sector to bring to an end the displacement chapter in the region and support those Croatian citizens still in refuge to successfully return to their homes. Unfortunately, the world today is scarred by conflicts new and old. In this year alone, we have seen more than a million people leave everything behind and flee the conflict and famine in Africa. Refugees from Libya attempting to cross the Mediterranean in unseaworthy conditions, starving Somali children with their parents rushing to find food and Afghani youth not able to find a future at home, knocking on Europe’s doors are today’s realities. Debates tend to focus on the challenges that people leaving Africa may pose rather than the potential they represent to enrich our societies. The discussion often fails to take account of the relative distribution of asylum-seekers and refugees around the world. In terms of the individuals recognized as refugees, approximately four fifths reside in the developing world. The developed countries, and by joining the EU Croatia will take its place within this group, certainly have the capacity to enlarge its share of responsibility for refugees and asylum seekers.